Marnin Michaels has been elected as part of the management team for the Zurich office of Baker & McKenzie. A senior partner with the firm, Mr. Michaels has been practicing for more than 15 years in the areas of tax and international private banking and handles insurance matters relating to tax investigations and wealth management. He counsels clients on US withholding tax and qualified intermediary rule, as well as money laundering avoidance legislation. Mr. Michaels was a member of the firms Steering Committee leading the US Department of Justice Initiative for Swiss Banks. In the end, the firm acted for 45 banks and the project won litigation firm of the year by American Lawyer Magazine. Widely regarded as one of the world’s leading wealth management lawyers, Mr. Michaels is on the Firm’s European tax steering committee, chairs its European wealth management committee and is a member of the global wealth management steering committee. He is also Tax Chair of the Firm’s Global Africa Initiative. In addition to writing extensively for many publications, Mr. Michaels has also authored two legal treatises: International Taxation: Withholding and International Estate Planning (both published by Thomson Reuters). Mr. Michaels also teaches in several LL.M and MBA programs on various tax issues. 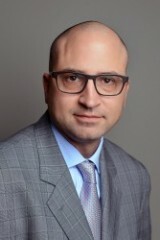 Mr. Michaels graduated from Syracuse University College of Law in 1996, also earning his masters degree in International Relations from the Syracuse University Maxwell School. He holds an undergraduate degree from Wilkes University and a master of laws from the University of Miami School of Law.